The 23-year-old man allegedly stood up on a cable-car ride before falling onto one of the other rides below. 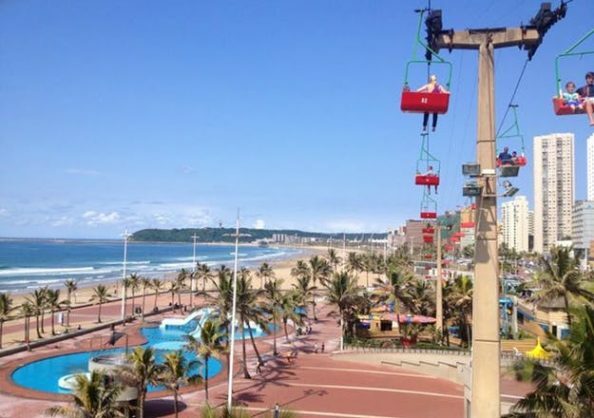 eThekwini mayor Zandile Gumede has expressed her deepest condolences to the family of a 23-year old man who died after falling from the cable car at the Durban beachfront Funworld on Saturday, reports Berea Mail. Reports indicate the man was in the cable car when he allegedly stood up and subsequently fell onto a moving ride on the ground. He was rushed to Addington Hospital, but sadly died on Saturday evening. The matter has been handed over to SAPS for further investigation.